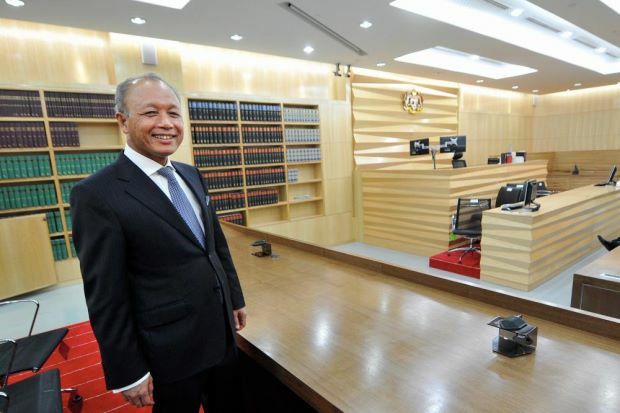 Malaysia’s High Court in Kuala Lumpur has been installed with upgraded technology equipments to assist the court in handling the cases with better transparency in a more efficient way, according to Malaysia’s English Daily, The Star. The court, which was officiated in April after the country’s Construction Industry Payment and Adjudication Act (Cipaa) 2012 came into effect, has a bigger counsel’s tables where it could accommodate large technical drawings. Matthew Tee, Master Builders Association Malaysia (MBAM) president, told Business Circle that having a specialised court was amongst the many objectives under the 2007 Construction Industry Master Plan (CIMP) to help the Malaysian construction industry achieved global standards. 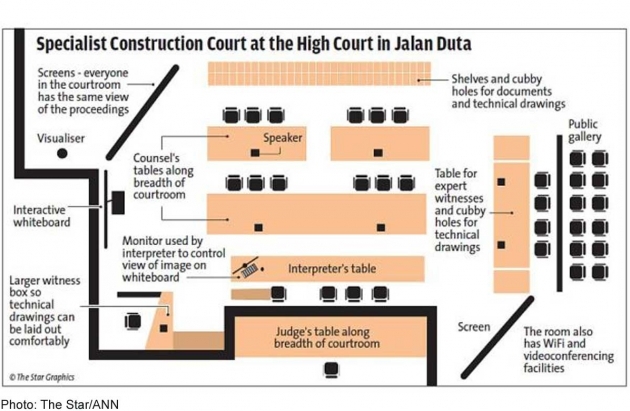 Constrction Court Judge, Datuk Mary Lim said the courtroom located at the Court Complex in Jalan Duta has also been re-oriented from the usual lengthwise design to now breadthwise design. He told The Star that the courtroom was also installed with a visualiser which is one of the more high-tech improvements in the room. 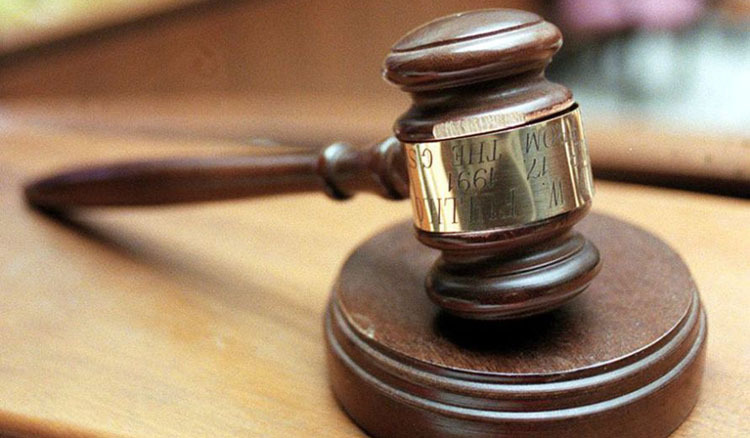 It allows the public to see all the players in the courtroom and not only the judge’s face. “This way, the public can evaluate for themselves the mannerisms of counsel and not just one face,” Lim said. The court is also equipped with WiFi and video-conferencing facilities. “It is basically a camera that projects the image (of a document) onto an interactive white board. It can also be projected onto the other two screens in the court. “Lawyers can plug their laptops into the system and see the same image on their own screens,” Lim said, adding that the no matter which form the document was presented – hard copy or 3D object, the visualiser was able to focus on it and bring the image on the interactive white board. Another advantage of the visualiser is that witnesses are able to explain the documents by highlighting specific area with various colours instantly on the interactive board, thus saving proceeding time. “If you wanted a witness to draw something, we all had to wait anxiously while he finished it and it was passed to the judge and parties, with the public left wondering what he had drawn. Now, he draws on the board with the pointer and all of us are looking as it progresses, and he can explain what he is drawing as well,” Lim said. The entire proceedings, he added will also be recorded with the camera panning to the person who is talking. Cipaa 2012 which has come into effect in April is the new legal way in resolving cash flow-related problems concerning the construction industry in the country. 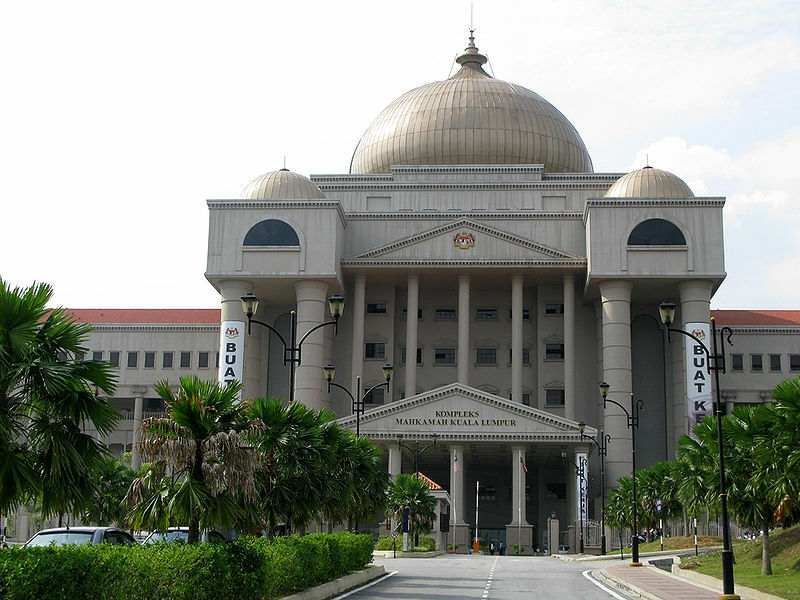 There are currently two Specialised Construction Courts in Malaysia – one located in the High Court at Jalan Duta, another in Shah Alam’s High Court. “Depending on the number of cases and the feedback from the Bar Council and industry players, the number of courts may be increased,” says a source told Business Circle. Also read: A Wife Was Fined By Court For Posting Her Honeymoon Pictures On Facebook!